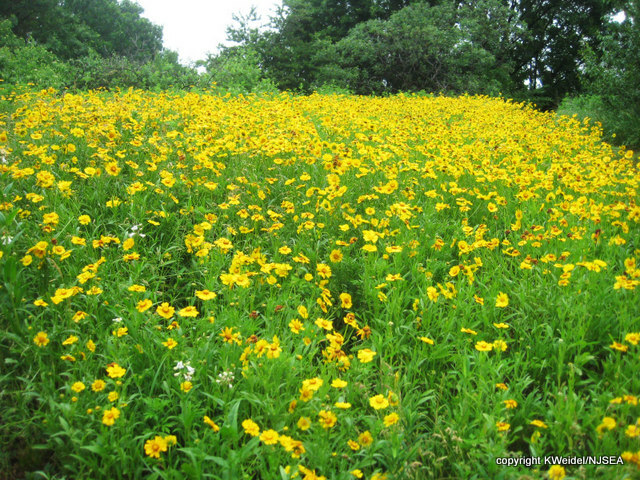 Right now, the Lance-leafed Coreopsis is grabbing the attention in this meadow on Kingsland Overlook. But that will change as the season progresses. This is one of several mini-meadows restored throughout DeKorte Park over the last few years. Watch them change throughout the seasons.